After the battle of Worcester in 1651 and the final victory of the Parliamentary forces in the English Civil War, some men who had supported the royalist cause refused to submit to the Parliament’s terms. 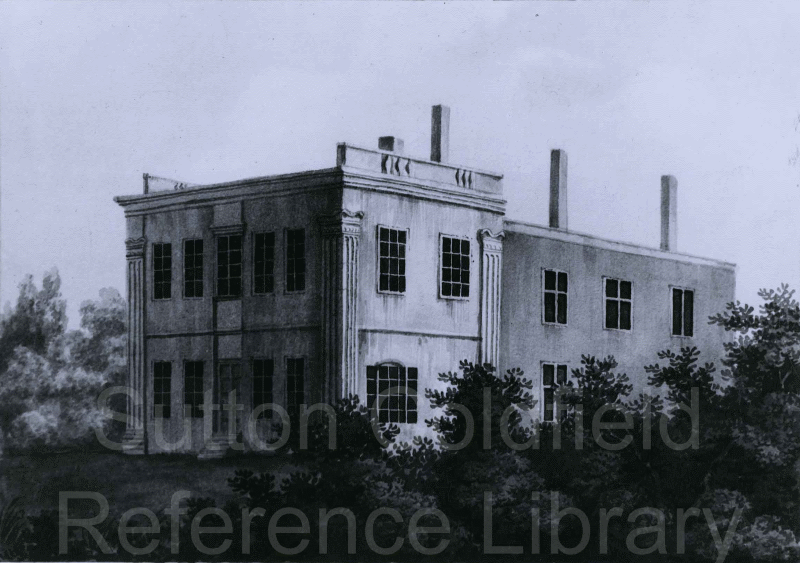 They were known as “Delinquents” (those actively campaigning against Parliament were “Malignants”) - one such delinquent was Fulke Grosvenor of Moor Hall, Sutton Coldfield. His estates should have been confiscated and sold to raise funds for the army, but special allowances were made for him because of his large family (he had seventeen children, five boys and twelve girls). Fulke Grosvenor’s mother was a daughter of George Pudsey of Langley Hall, Sutton Coldfield, by his first wife; George Pudsey’s second wife was Margaret Gibbons, a great-grand-daughter of Bishop Vesey’s sister. Another cousin of Fulke Grosvenor, Dorothy Stanton (daughter of his mother’s sister), was married to Walter Peyton of Marlpit Hall, Sutton Coldfield. Thus in the 1630s the inhabitants of Langley Hall, Moor Hall and Marlpit Hall were all related. Marlpit Hall stood in Marlpit Lane, Little Sutton, and Walter Peyton had acquired it when he retired to Sutton in 1617. He was a London man, a sea captain for the East India Company, who had made a fortune on two expeditions to the East Indies. On the second voyage, which lasted from March 1615 to May 1617 he was the captain, with four ships under his command. On his return he was rewarded not only for a valuable cargo of spices, but also for the six Portuguese ships he had captured as “prizes”. Walter Peyton bought other property in Sutton, and was Warden of the town in 1623. A rich man holding high office would need a prestigious stately home, so he made Marlpit Hall into a splendid mansion. After the death of Walter Peyton in 1639 at the age of 55, Marlpit Hall passed to his son Walter, but by 1700 it was in decline. By the nineteenth century it had been converted into farm workers’ cottages and eventually it was demolished, leaving no trace. Marlpit Hall and Grosvenor MH 22 Aylesford coll.